The new library at Patuki Manawa has become a popular destination for young and old alike. Katikati is celebrating the recent opening of stunning its new library, community hub and service centre. 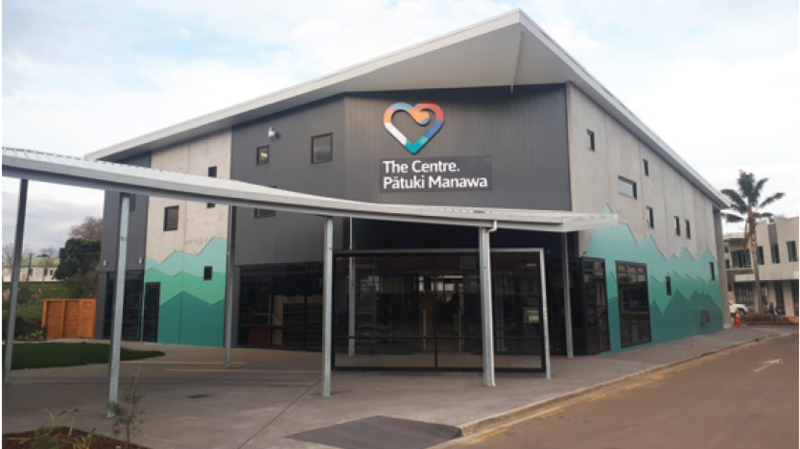 Known as The Centre – Patuki Manawa, the facility marks a new milestone for the vibrant and diverse community. Western Bay of Plenty District Council spokesperson Barbara Whitton says the project has been “great to be involved with”. Following strong support for the $4.5 million project at 21 Main Street, in the former Dunning Block, the council included the project in its Long Term Plan back in 2012. Western Bay of Plenty District Council has communities spread over a large geographic area and Barbara says one of the great things about this is that within that catchment each community has its own particular character. She says the new facility, while situated in Katikati, serves a geographic much larger than the township. 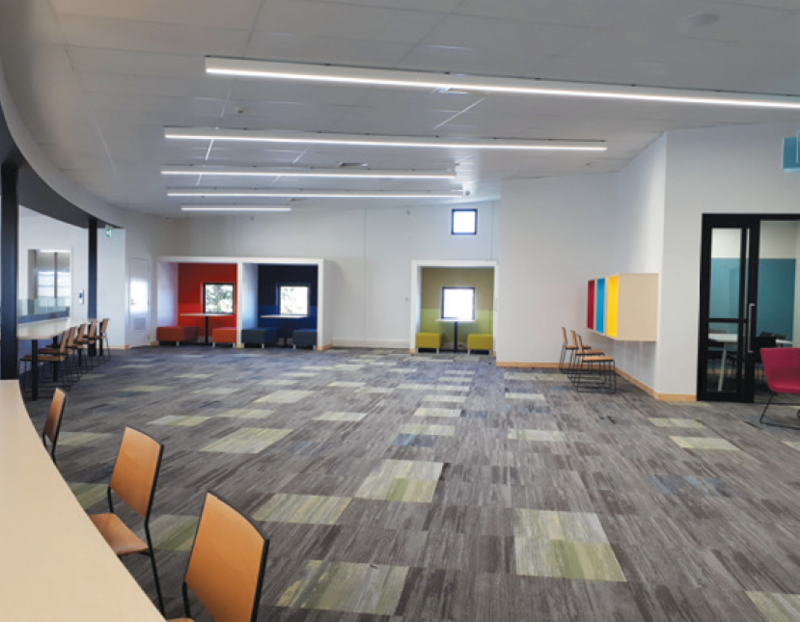 “In the case of the new library build at Katikati we formed a community reference group which included the Katikati Community Board and community leaders. The role of this group was to act as a conduit of communication between the community and Council. The library has truly become a community resource since opening August 21, with a dawn blessing followed by a series of celebrations culminating in a ‘big party’ at 3pm. As testament to the success of its design and facilities, the library has become a popular destination for old and young alike. “We identiﬁed that the library and associated spaces needed to offer a welcoming environment for the young people of Katikati, a place they can gather and use the WIFI facilities. The Centre – Patuki Manawa is a resource for the Katikati community and surrounding towns. Initially the plan was to build the entire project in a staged way, however by securing a Lottery grant along with council and community board funding the project was completed in the one build. Watts & Hughes Construction won the contract and entered into an ‘early contractor involvement’ process with Council to minimise the risk of budget blow-out. “That process was very successful and the proof of this is that the library project came in on time and to budget,” says Barbara. “We especially wanted the building to have a contemporary feel, yet reﬂect and honour the geography and history of the area. “Even the footpath work connecting the hub service centre with the library building depicts connections with the physical environment,” says Barbara. The building has two levels, with a mezzanine floor accommodating the WIFI and booths offering quiet spaces. There are bold plans ahead to engage the community further through the hub’s technology-savvy set-up. With ultrafast ﬁbre coming into the centre through a partnership with Spark and Ultrafast, the hope is for community groups to make full use of what’s on offer. The building has two levels, with a mezzanine ﬂoor accommodating the WIFI and booths offering quiet spaces. Local artist ‘Mr G’ adorned the building with a piece of artwork that ﬂoats above a stylised version of the Kaimai Ranges, built into the building’s exterior cladding. When Barbara recently revisited The Centre – Patuki Manawa, having settled into the buildings’ daily life, she was delighted to see the spaces full.